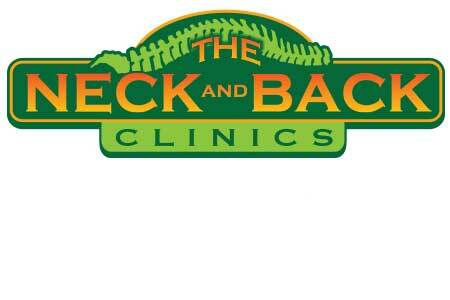 The Neck and Back Clinics’ Spring Valley office is conveniently located at 2980 S. Jones Blvd. to serve our valued Spring Valley patients. As a chiropractor near The Strip, our great location makes it easy to drop by our chiropractic center for a quick adjustment before, during or after work! Our Spring Valley location is on the corner of Edna Avenue and just a few minutes from Spring Mountain Rd. We are five to ten minutes away from Sahara Pavilion, Sahara Pavilion South, Sahara Crossing and Desert Crossing. We are just two blocks up the road from Las Vegas Day School. Our office is conveniently located near other health and wellness services, day spas, shopping centers, and popular restaurants. The Neck and Back Clinics’ Spring Valley office offers comprehensive chiropractic care, including treatment for auto accident injuries for residents in the 89146 zip code. Many of our patients have sustained a car accident injury like whiplash that has left them struggling with chronic back and neck pain. Our Spring Valley chiropractor has helped patients naturally manage this pain and lead active, pain-free lives. If you have also sustained a whiplash injury, we can help you, too! Patients near Spring Mountain Rd. and S. Jones Blvd. choose our Spring Valley practice because of our effective treatments for whiplash and car accident injuries. Rather than relying solely on medication to relieve pain, we offer chiropractic adjustments that target underlying issues. A whiplash injury can cause a misalignment of the cervical spine. As long as this mechanical misalignment persists, so too will your pain. This is why medication is limited in its effectiveness; once the medication wears off, the pain returns. You do not have to suffer in pain – contact our Spring Valley office and get healthy today! Give us a call at 702.644.3333.